Bookworms and literature lovers, August 9th is a day just for you! National Book Lovers Day is the perfect time to kick back, relax and take in a good book. If you're searching for new reading material and a comfortable setting, we know just the place to celebrate. Check out our list of must-read books that are available in our Museum Stores. If you love a good mix of history and mystery, we suggest you pick up a copy of The Secret Token. 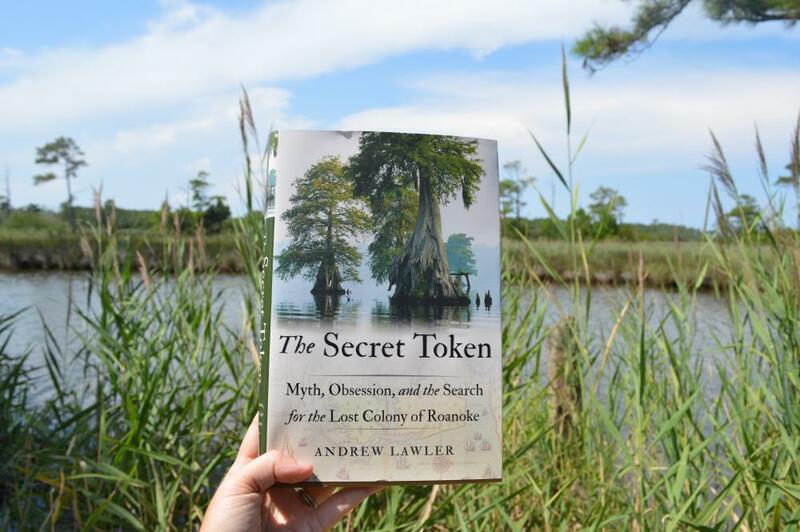 Learn more about the facninating story of America's longest unsolved mystery, the lost colony on Roanoke Island. This book lays out old evidence, myths and new discoveries that have recently come to light. The author takes the reader on a journey and introduces them to researchers, local historians and archaeologists to find the missing pieces to an event that still leaves us puzzled over 400 years later. Soak up this thrilling novel while enjoying the cool breeze off of the water and a gorgeous view of the sound. Benches are located along the boardwalk for you to sit and enjoy your new read. 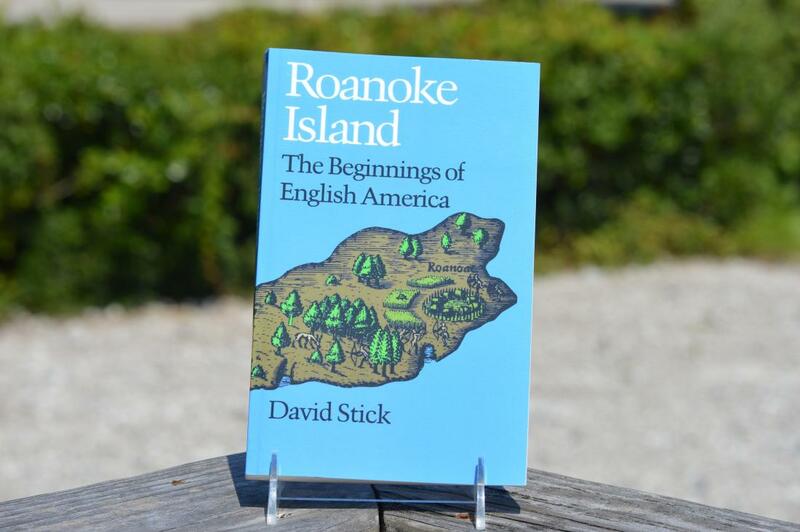 If you want to dive deeper into the information you learned at the park, take time to read David Stick's book, Roanoke Island: The Beginnings of English America. This literature follows the journey of the settlers, from their first voyage to America to the lost colony. Get reaquianted with a host of main characters that played a significant role in the English's first attempt at colonization. Learn more about the relationships between the settlers and Native American tribes on Roanoke Island. This book offers a easy to read history lesson with interesting facts and insightful details. Listen to the light sound of colonial tunes from the porch as you learn more about the key players in the first English settlement on Roanoke Island. 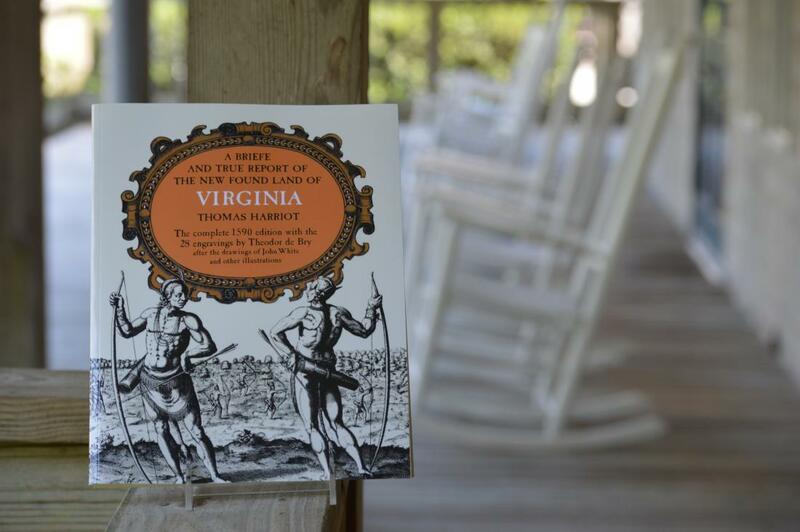 If you're interested in getting inside the mind of an English settler, take some time to sift through A Briefe and True Report of the New Found Land of Virginia by Thomas Harriot. A respected English translator, enthographer, mathematician and astronmer, Harriot was sent to explore the new world and record his discoveries for Sir Walter Raleigh. During his exploration, Harriot was able to learn and translate the Carolina Algonquin language with the help of Native Americans, Manteo and Wanchese. His relationships and reports about Native American tribes, culture and language set future colonies up for success. Pull up a rocking chair and enjoy a lovely view of the park's lush vegetation as you dive into this eye witness account from famous explorer and translator, Thomas Harriot. 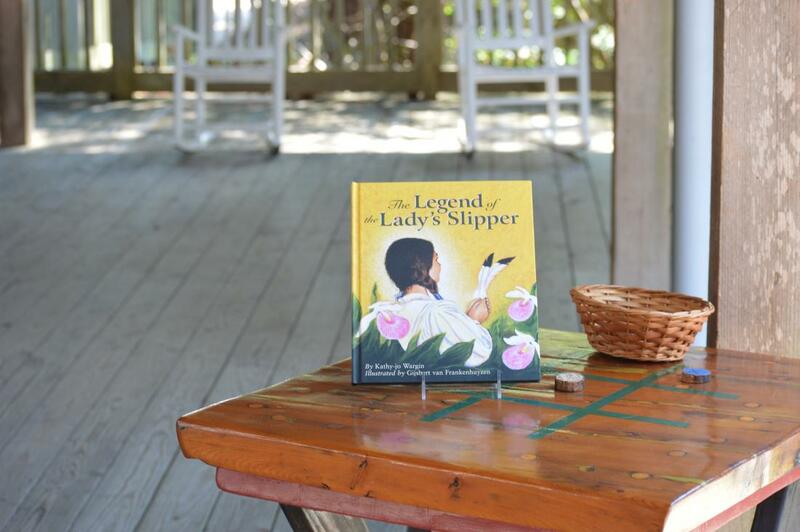 If you're looking for a special children's book to share with your kids or a loved one, check out The Legend of the Lady's Slipper. This enchanting story mimics the style of Native American storytelling and features vibrant illustrations to bring this legend to life. Kids will enjoy this suspenseful and heartwarming story. While waiting inbetween moves on the game tables, kids and adults can relax under this shaded area and read this story together. 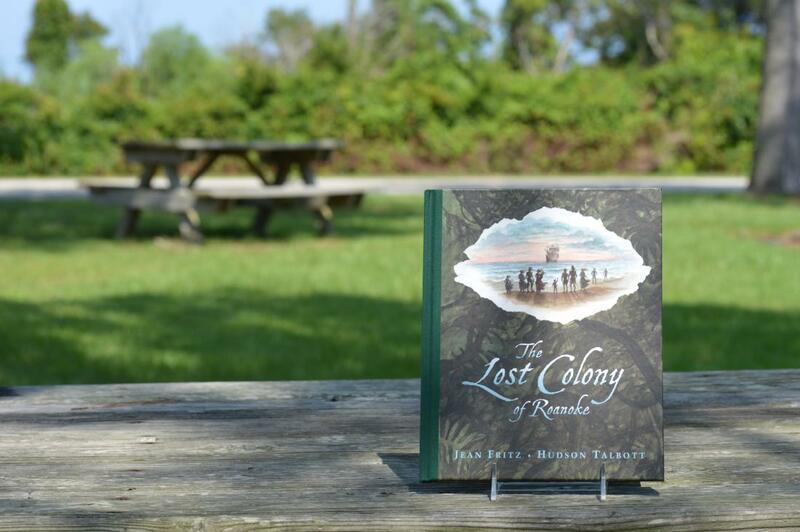 This easy read is a great resource for students who want to learn more about the mystery that surrounds the lost colony. The book is written in a way that engages students and presents historical facts in an interesting and memorable way. This short book is packed with information and beautiful illustrations. The park's picnic area is a wonderful area for reading. Pick a sunny or shaded spot to read your new book. All you'll need to celebrate National Book Lovers Day is a good book and a cozy and scenic spot. Our Museum Stores offer a wonderful selection of Outer Banks and Roanoke Island literature for all ages. Stop by and pick up a book that will educate and inspire. Happy reading!